Miss Fleuriste specialises in feminine and elegant floral design, combined with thoughtfully curated styling details for weddings, special events and celebrations. Inspired by the rambling rose gardens & sophisticated style of France, our natural floral style consists of feminine fleurs in pretty palettes, pairing luxe seasonal blooms with lush loose foliage & rambling vines to create customised arrangements that are refined but softly unstructured, flowing freely from the vessel, and radiating romance. We prefer each stem to have their own place to shine in an arrangement without being tightly structured or confined, and for each design to be bespoke and tailor made with love especially for you. Our occasions are timeless, refined and romantic, with the intention to feel as heartfelt as they are beautiful and reflect your unique personality, style and love story. Miss Fleuriste is a boutique floral design and styling studio based in the eastern suburbs of Sydney. owned and operated by Alicia Kristoffersen. Alicia's long love affair with flowers began in childhood. With a Norwegian family, she would often spend summers in the Norwegian countryside collecting wildflowers from the fields & blueberries from the forest floor. She would wander her grandmothers garden that was filled with flowers & fruit trees, press freshly picked blooms, and create bouquets. Prior to following her true passion for floral design. 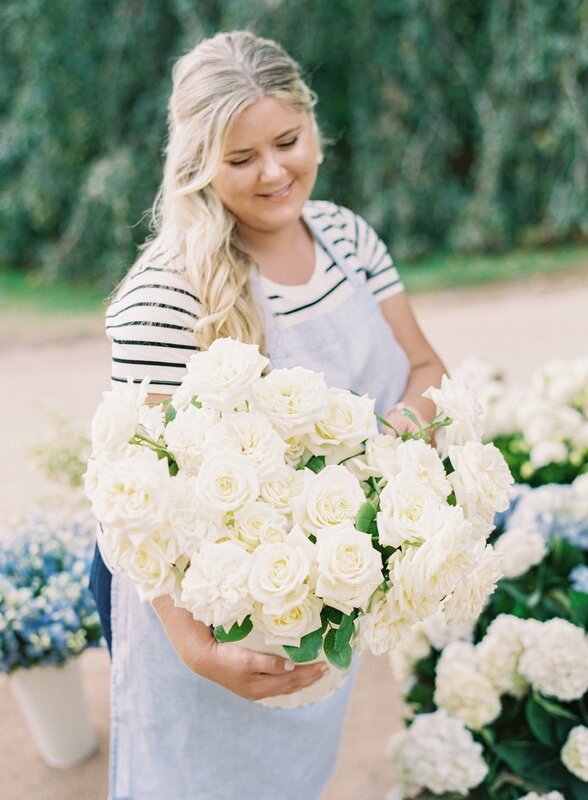 Alicia spent over 10 years working as an Event Manager and has worked with some of Sydney's best florists. She has designed, coordinated & styled hundreds of high-end events throughout Australia, the UK and Europe during her career. Miss Fleuriste combines her passion with perfectionism, offering professionalism throughout the planning process, and someone you can trust to deliver a beautiful outcome on the day. Alicia is caring, attentive, heartfelt and highly detailed, combining her floristry & event design skills with creativity and attention to detail for her valued clients. “They say flowers are ‘sunshine and food for the soul’ ~ and I whole-heartedly believe that is true. The beauty of fresh fleurs bring joy and happiness to all occassions. I definitely see the joy on people’s faces every time I deliver flowers, they are a gift from nature & always make people smile! I love combining beautiful florals, personalised styling and thoughtful details to create truly magical wedings & events. I believe that a memorable event should be an experience, with a focus on how you would like the day to feel, and the atmosphere you wish to create. My philosophy is to create an environment that evokes a romantic atmosphere, oozing elegance, with a refined feeling, stylish and chic but still relaxed so as your guests feel at ease. Every detail intentional, a reflection of your personality, contributing to and not competing with the style of the venue and natural surroundings. I pride myself on working closely with each client or couple throughout the planning process, listening to their vision and discovering their dreams, guiding them through the designs, and attentively ensuring every detail is perfect.